It is aptly said that ‘Health is wealth’, and people around the world are realizing this fact. With the rise of umpteen number of health issues, be it cardiac ailments, diabetes, mental health disorders, stress, insomnia and so many others, a lot of people out there have begun listening to their bodies and are now actively focusing on physical and mental well-being. They are growing more and more health conscious and want to lead fitter lives. Millions of people are now travelling to destinations that are serving their health interests, teaching them how to detox and lead healthy lifestyles, connecting them to spirituality and helping them hit the reset button for the mind and body. This is what ‘Wellness tourism’ is all about. And it is yet another niche of the tourism industry which is gaining momentum worldwide. Wellness Tourism should not be confused with Medical Tourism, which is in fact reactive in nature, and involves traveling for treatment for an existing medical condition. Medical tourists travel to another country owing to better and in a lot of cases cheaper medical care in that particular destination compared to the home country. Wellness Tourism on the other hand is more proactive, wherein one travels to improve their general well-being and prevent future ailments. From millennials to baby boomers, everybody today wants to take a break from their busy lives to slow down and focus on their health. Talking about wellness, there is more to it than spas, yoga retreats and fitness camps. The travel industry is redefining wellness to a whole new meaning. The wellness retreats today guide how to eat better, exercise better, how to eat better while traveling and even connect their clients to spirituality through meditation serving as life changing experiences for the travelers. 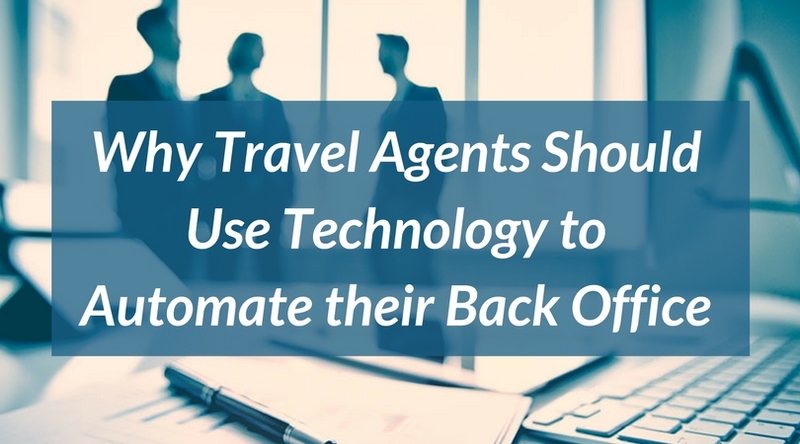 Travel agents can tap into this growing trend as a great opportunity to maximize their potential. 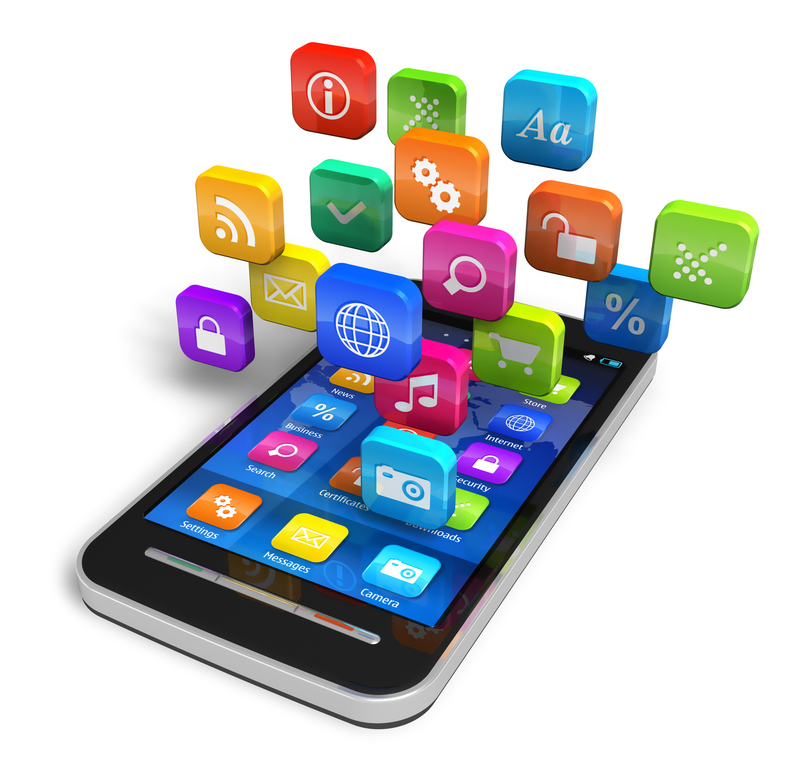 They can offer packages to their customers that have elements of wellness integrated to their vacation packages. 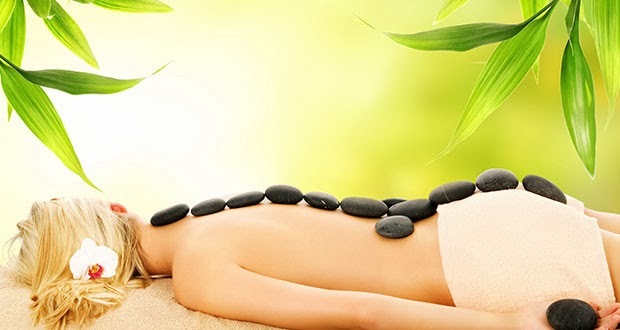 This will act as a great approach to acquire a large number of customers who are looking to experience this new trend of travelling to wellness destinations around the world either specifically or as a part of their holiday. As is evident from the table above, there are many countries where residents are spending billions of dollars on wellness tourism, with Germany leading the pack. 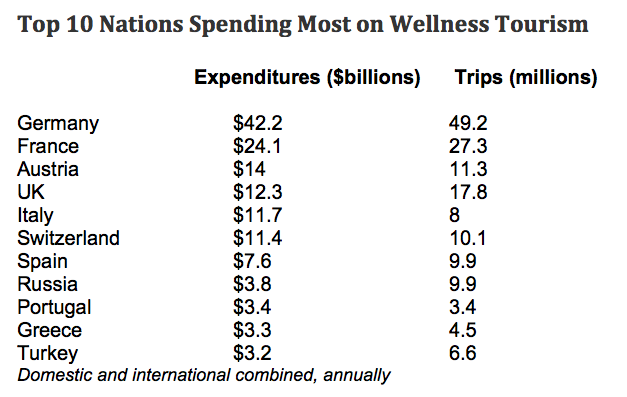 This table shows the massive demand for wellness across the world, particularly in Europe. Bali is consistently ranked among the top destinations for health and wellness tourists. The serene town of Ubud in Bali calms your mind the moment you reach there. 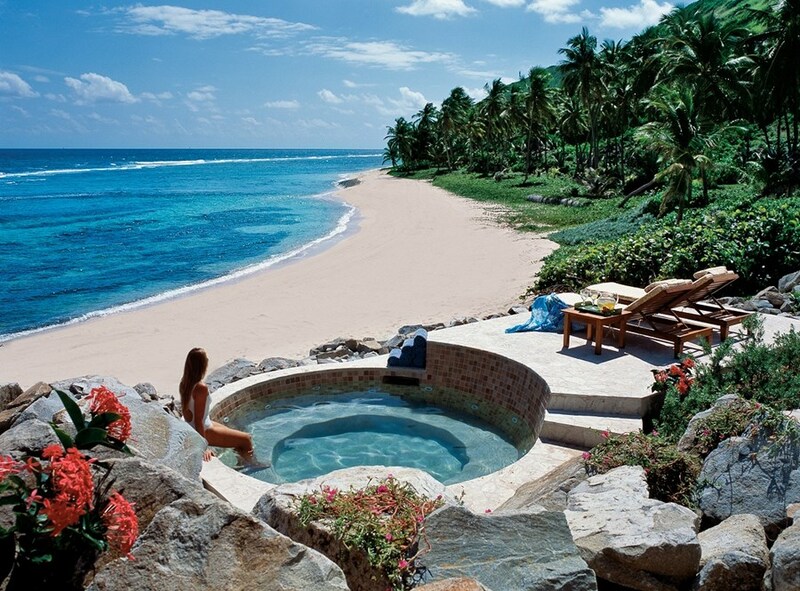 It is known for offering some amazing spas and health retreats. One of Bali’s biggest advantages is that it has a large number of skilled local therapists as well as locally available ingredients that go into popular spa products. Hawaii was aptly described by Mark Twain as a “place where you can get drunk without drinking.” Hawaii offers a wide range of wellness and rejuvenation packages. Their practices of healing are traditional and based on the indigenous wisdom of the early generations. Beach Yoga is quite popular among tourists in Hawaii. What’s the first thing that springs to your mind when you hear Thailand? We bet it’s Thai Massage. Thailand is famous for its centuries old Traditional Massage, which has its roots in Buddhism. It offers some great detox and wellness packages in the various resorts and wellness retreats in towns like Bangkok, Phuket and Chiang Mai amongst others. 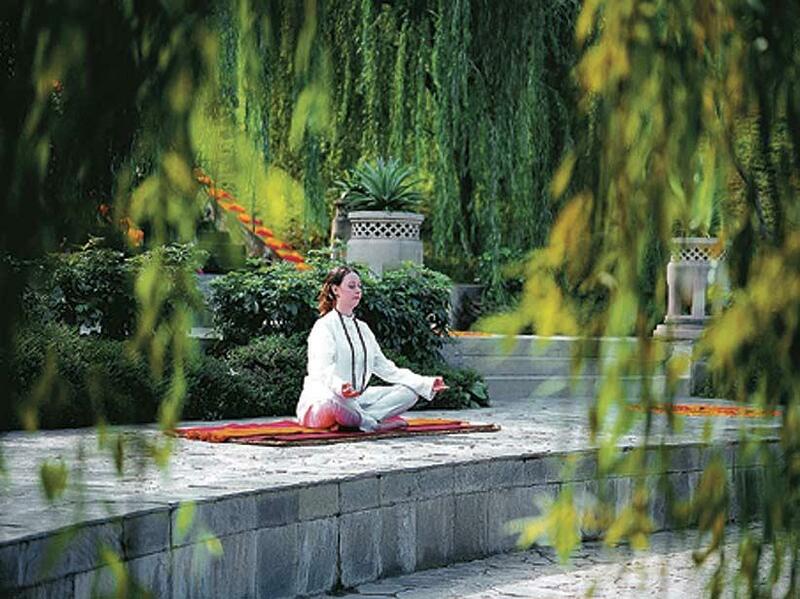 It is an extremely popular destination for health retreats among travelers. India is the land where the ancient art of Yoga originated. It is also one of the world’s fastest growing wellness tourism destinations, with a projected growth rate of 22% (Source: Huffington Post). 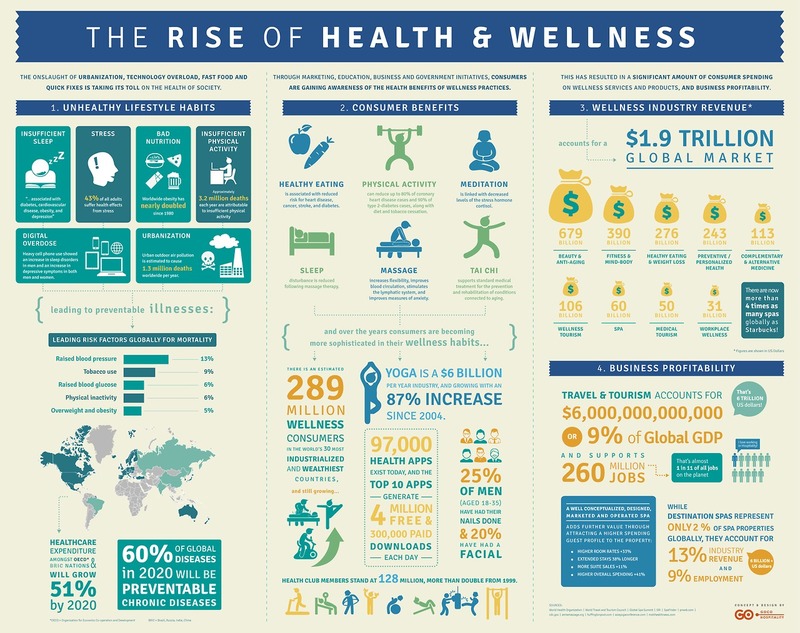 At this rate, many estimate it to become the no 1 destination for wellness tourists by 2019. The spas and wellness retreats in India offer Yoga, Meditation and the ancient science of Ayurveda. So, its stature as a top wellness destination is understandable. Health retreats in Kerala and Puducherry are extremely popular, particularly among western tourists. A large chunk of China’s wellness tourism revenue comes from spas, which is why you’ll find most hotels and resorts pushing their spa packages. 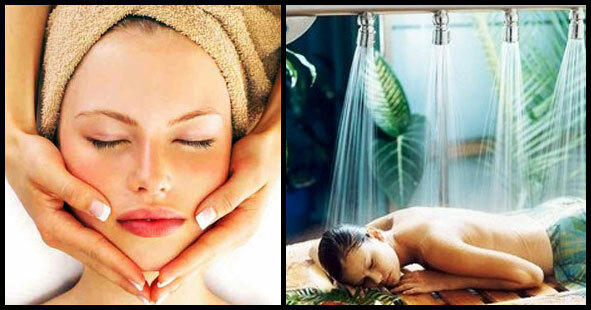 A lot of hotels even offer complimentary spa services to attract more guests. Chinese herbs and oils added to spas have a magical therapeutic effect and are loved by tourists. Chinese tourism companies are using Beijing and Shanghai are popular destinations that offer unique wellness experiences. This island country is very well known for its health and wellness clinics that specialize in holistic techniques that promote health and wellness. Though quite expensive, it is known for offering quality and luxury which are major factors for many travelers. Bathing in the healing waters is a very old tradition here. 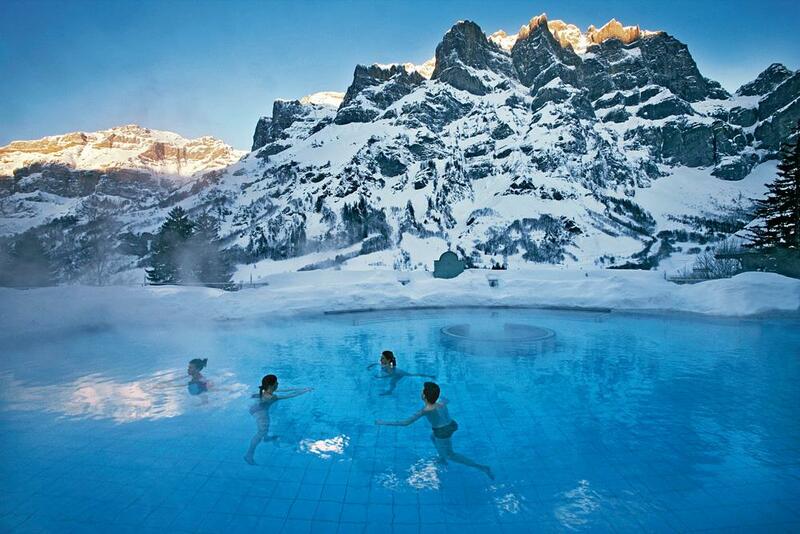 Spas in Switzerland are of world class quality. The rain forests, the bright sun and the warm and clean air make them an ideal destination for healing and rejuvenation retreats. 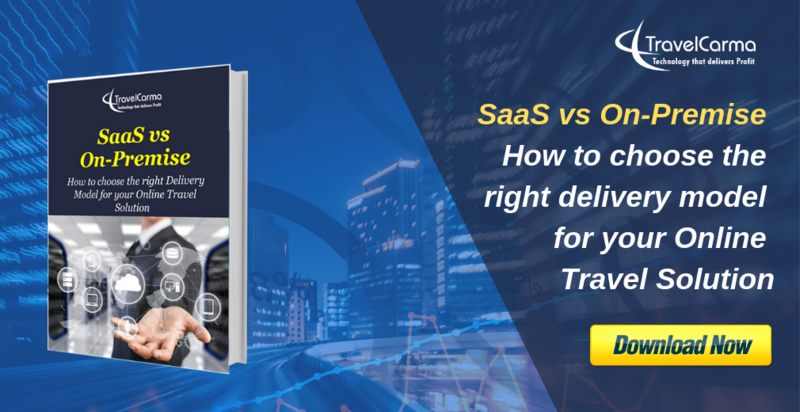 So, whether you sell exclusive wellness packages or integrate them with the vacation packages you are already offer to your customers, you are sure to get good profit margins if you keep yourself in tune with the current trends. 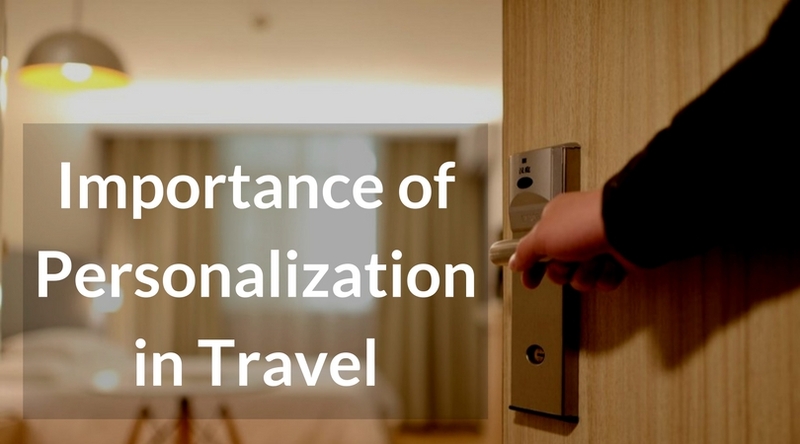 Do follow our blog to receive more of such useful articles covering the trends that are shaping the travel industry. Im one of the inbound tourism operator in the country of Papua New Guinea. We are very glade to be the member or of Willness to promote our tour package in which we offer some of the physical fitness such as tressing, hiking, feeding with traditional foodstaff, swimming in rivers, river canoeing, hiking from local village to village into some quite and remoteness, plus magical words to encourage travellers to be more physical fitness and its for their lifetime. We are very much like to offer some of our tour packages that suits travellers interest.